Fashion even “ready to wear” fashion isn’t always realistic, be it for everyday life or for your bank balance. 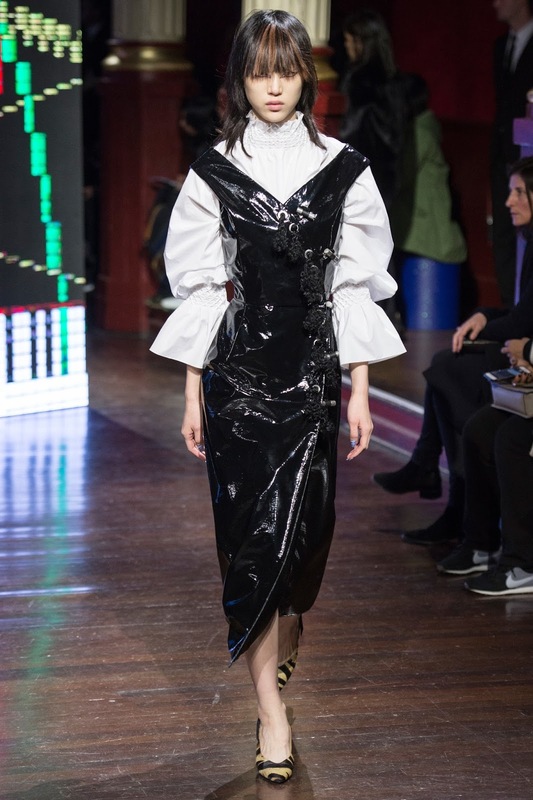 I set myself the task of going over A/W16’s trends and working out how to integrate hints of the catwalk into our wardrobes using high street alternatives. Kind of like a get the look, not trying to find exact pieces but how to translate trends into your own style, making them suitable for everyday life. Theres a misconception with fast fashion that nobody is being themselves because everyone is following trends, when in reality its perfectly feasible to do both: Be yourself and keep up with current trends. When you’ve really done it right you might be wearing something every magazine says you should be wearing but it just looks like you, not like you’ve bought it to fit an aesthetic. However its not always possible to keep up with changing seasons, maybe like most you don’t have the budget or don’t fancy changing your entire wardrobe to fit in. So i thought i’d pick a few of A/W’s trends and show you how to incorporate them into your wardrobe using key pieces from the high street. 1) Military: When has their ever been an autumn winter without military being in? You don’t need to go all out head to toe khaki to channel the military look this season; opt for belted long line coats or chunky boots. This type of coat makes the outfit, the coat is the outfit here – you’ll end up getting to where you’re going and insisting you’re cold enough to keep it on, its all about the coat. 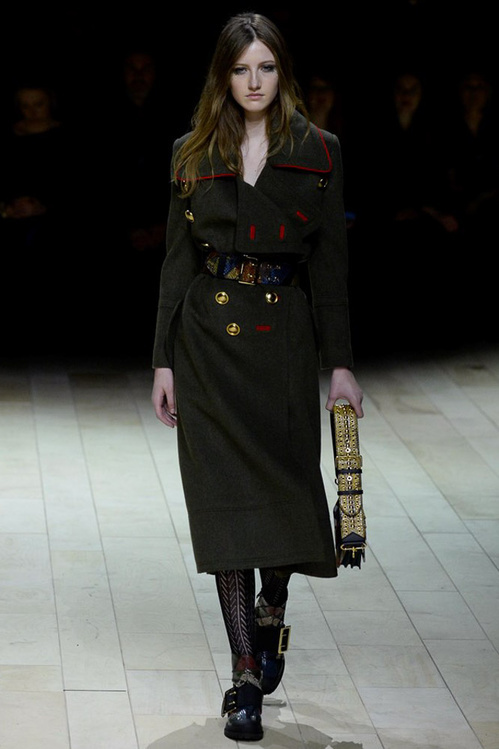 Heres the high end look at Burberry. 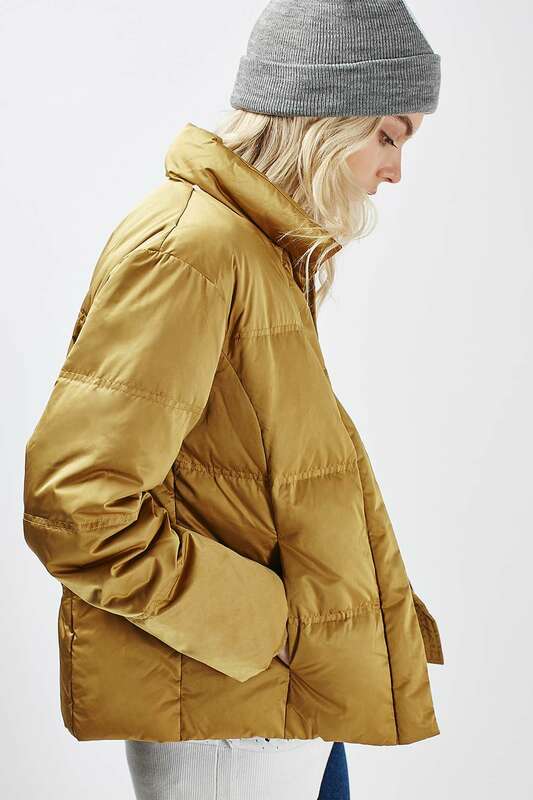 Heres how you can create an affordable alternative with this longline £50 coat from missguided, you can pair this coat with items currently in your wardrobe but with the coat being the key piece it keeps it on trend. Don’t want to splash out on a new coat? Maybe you’ve got a longline coat laying around from last year, belt it and its suddenly on trend. 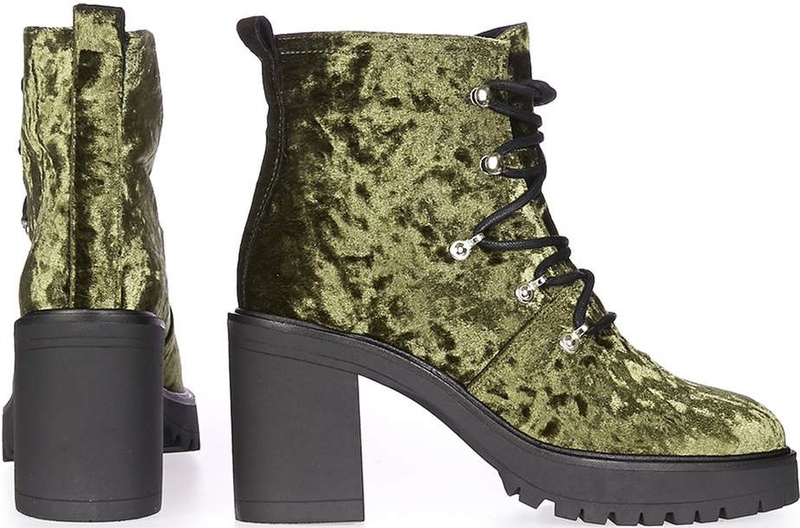 This seasons boots are chunky, laced or buckled almost biker like. Both boots above are from topshop one of my favourite places to buy boots from and actually in terms of this season had the most on offer. 2) Texture: I want to break this down into two sections – velvet and patent leather. 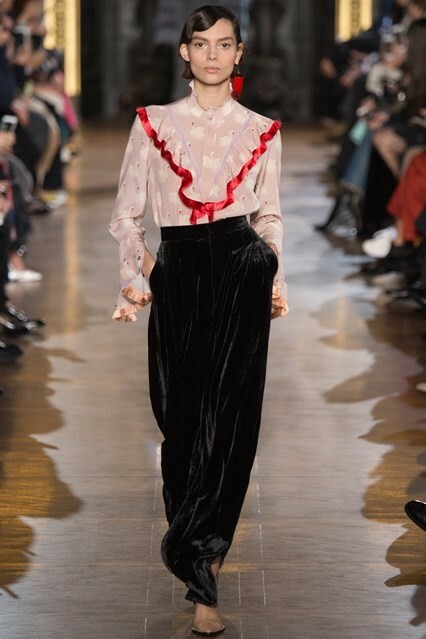 Velvet: Velvet is cropping up in everywhere, you can integrate it through your shoes or go full whack in a trouser suit – okay a velvet trouser suit might not be applicable to anywhere other than a fashion week event, so you might want to scale it down to a blazer but this is all about translating trends into your own style. Heres the high end look at Stella McCartney. Skirt/£38/ASOS. 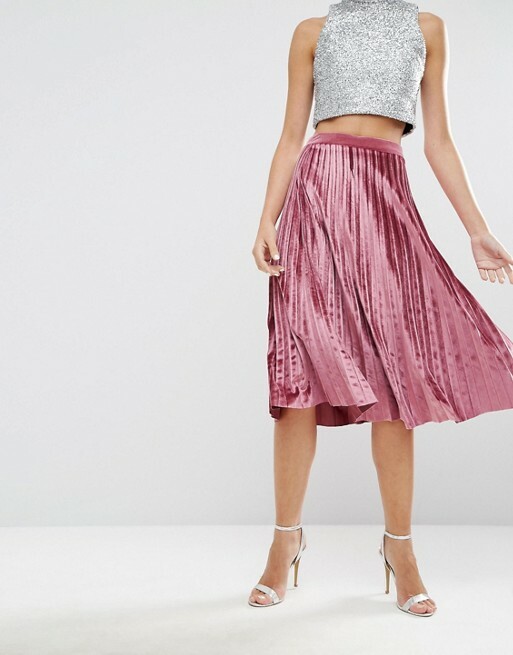 Blush tones have been popping up for A/W but mainly on the jacket side of things, i’ve gone south and matched the velvet and blush trends with this midi Asos skirt. I’m screaming i love these so much writing this post is awful for my bank balance. 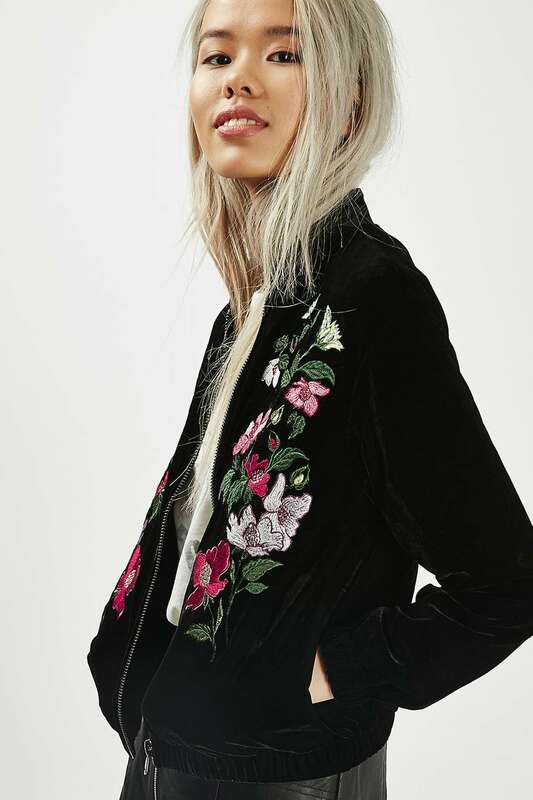 My final velvet pick is this Velvet bomber £69 from topshop. It ties in with the bomber trend so you’re killing two birds with one stone with this one. 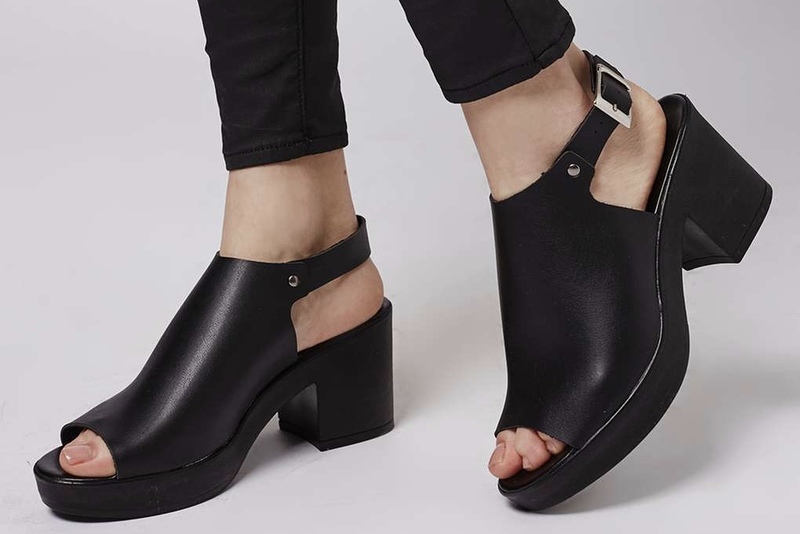 Keeping with texture but moving to patent leather: the shiner the better apparently. 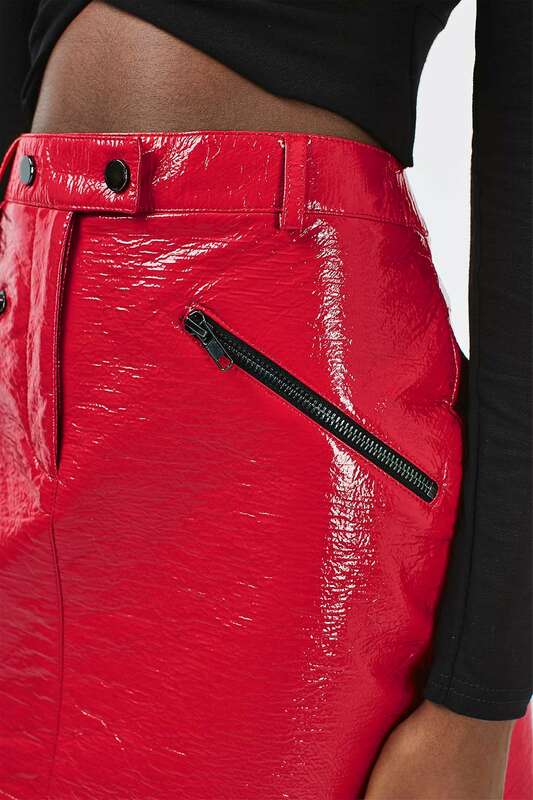 Coats, shoes trousers or even dresses, patent leather is a thing again. The safest way to incorporate the leather trend into your wardrobe would be through A line skirts or a jacket that is slightly on the shiner side. If you’re feeling adventurous however you could go for some trousers to really get the look across .. if you’re brave enough. Heres the high end look from Kenzo. Skirt/£45/Topshop. I think the easiest way to translate this trend is to do it through an a line skirt, i’d wear it with a turtle neck jumper tucked in. Trousers/£39.99/ZARA. Leather look trousers don’t have to be scary, pair them with everyday pieces like jumpers and jackets and you’ve integrated a catwalk trend without being hugely obvious. Did someone say the post man is at the door and i can’t find my clothes? 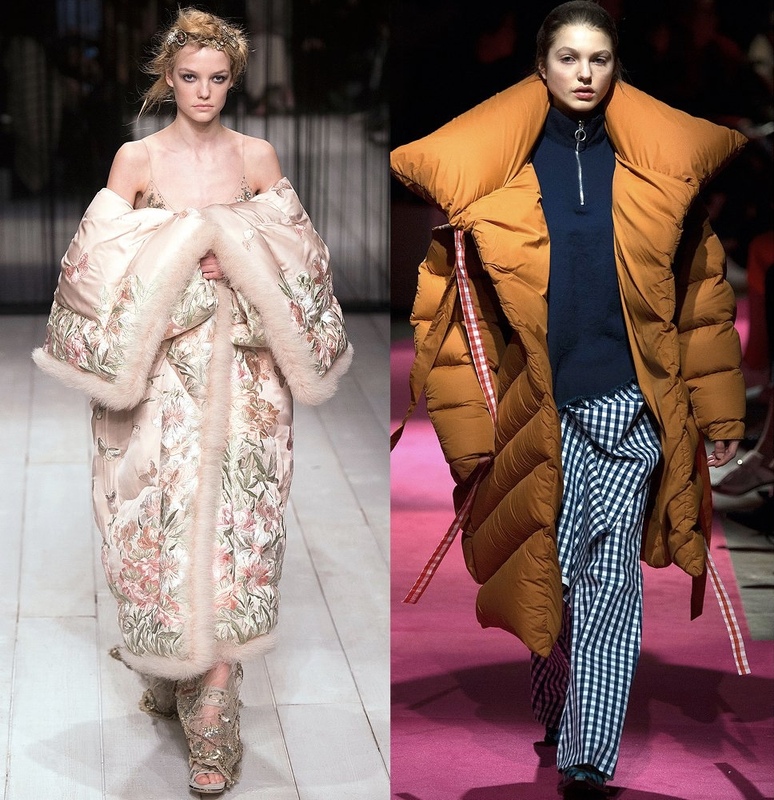 Lets look at some slightly more toned down options for this season’s puffer if you want to buy into A/W’s nod to practicality. 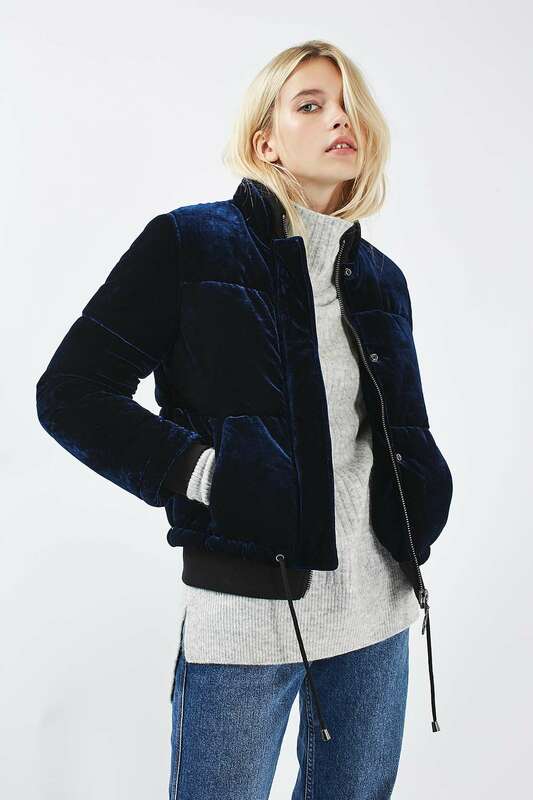 Velvet puffer/£69/Topshop. 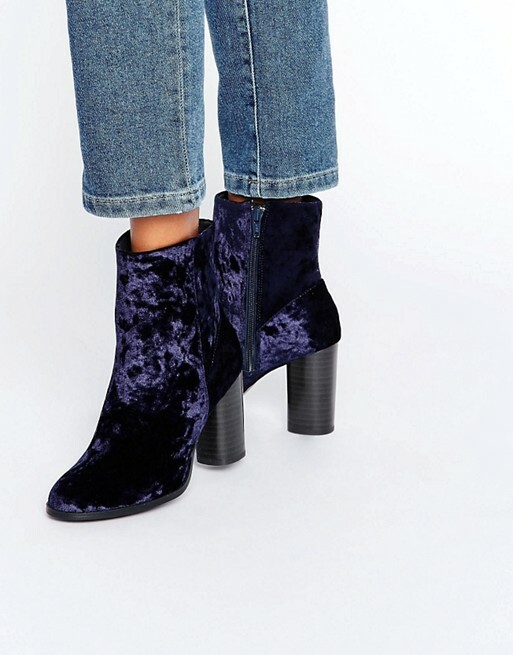 Velvet and puffy? On trend and your mother would be happy you’re staying warm. Satin puffer/£79/Topshop. Satin is another huge texture making its way into A/W and this puffer keeps with the trend without looking like you’re dragging a sleeping bag around with you.